If you are a martial artists and want to stay in tip top shape you need to keep exercising. This is not possible if you don’t have the equipment to train. One of the best training equipment for fighting is Punching Bag. 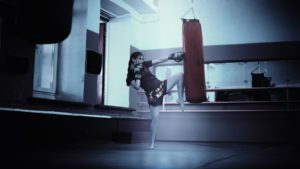 A heavy punching bag is necessary for practicing punches and kicks as there isn’t any other type of equipment where you can practice the use of fists. Punching bags are of many types including standing, speed, hanging, doorway, and many more. These help you improve your focus, striking abilities, improve quickness, cardio and more. These help you improve strikes for muay thai, karate, kung fu and boxing. These heavy bags are more important in places where a gym is a rare place to find. It is better to have a bag at home that you can use to train instead of going to a gym far away from house. Setting up a home gym is an even better idea but that is story for another time. As I was talking about the Everlast heavy bags and why they are great for home workouts, here is a list of the best ones. Hopefully these will help you get started with your punching bag workouts. Starting heavy bag training for the first time and don’t know what type of bag to buy for your fighting practice, then look no further. This everlast heavy bag is exactly what you need. It comes with a chain swivel to hang it to the ceiling as well. The great 70lbs heavy bag starter kit which can play a vital role in your fitness. The amazing kit of this punching bag includes hand wraps as well which can support your wrists and hands for safety. The package includes a pair of boxing gloves as well which enable more power and passion to do workout on your punching bag. Everlast Powershot is for anyone who is interested in getting his punches and kicks more accurate. It comes with strategically placed forms on the head and body for precise shots, making it an equal replacement to the human torso punching bags. A heavy duty Everlast punching bag which is good for beginners and the experienced as well. The cushion inside it is of great quality, that it will not hurt your hand or wrists at all. The hanging straps of this punching bag are heavy duty and will not tear a part on hanging for a long time. The Nevatear (high-quality punching bag material) is used for this bag which provides reliability and increases the durability of this punching bag. The everlast traditional heavy punching bag is for anyone who wants to start practice right away. It comes with the regular features including a filled heavy bag, polythene outside fabric, a cool punching bag that can be used anywhere, to name a few of its features. The traditional punching bag can be used for boxing and kicks both. It can also be hanged anywhere you want. The 40lbs traditional punching bag. The package of this amazing heavy bag includes all the necessary hardware and accessories. Made of high-quality Nevatear material. It fulfils all your workout requirements. Everlast 70 Pound MMA Poly Canvas Punching bags are a blend of filler mix and sanitized synthetic natural fibers. These provide shock absorbency and resiliency against impact. These premium poly canvas heavy bags are made in a way to last longer because of inner sewing and double layer fibre covering. You will also get double strapped nylon straps with the bags that improve the functionality with the double end loops. One of the best and amazing punching bag of this category. It is filled with synthetic and natural fibres which enables the maximum shock absorbance and this thing doesn’t hurt your wrists at all. The Nylon straps of this punching bag are of great quality which provides heavy duty security. The double end loop increases the functionality. This is the best punching bag for apartments where space is a problem. The small heavy bag can easily get installed in any location in a small apartment making it easier to train in boxing. You don’t need to have a big room to keep this bag as it can be chained to the ceiling or hanged using a wall mount. It only weighs 25 lbs, so mounting and de-mounting is also not a problem. Nice punching bag filled with synthetic fibres which are blended with scrutinized sand for quality workout and experience. Cotton hand wraps are available with this bag for extra comfort during long workout. Heavy-duty wood beam hanger made of solid steel is included. It makes it easier to mount without the need of external punching bag equipment. Difference between Heavy Bag and Punching Bag? I was stuck with this question for quite some while now. Almost all punching bags are known as heavy bags because they are used for punching – something obvious by their name. But heavy bags are also used for MMA and kick boxing. Consider these heavy bags as the head branch, extended by punching bags, and MMA bags and Kick boxing bags as the sub-branches. But these are just for understanding the core concept. These also differ on technical grounds, of which a detailed account is provided below. Heavy bags that are used for kick and box weigh at least 100lbs while those that are used for punching can range from 25lbs to 120lbs depending on their size and user requirements. Heavy bags used for kick boxing have a double-layered core. They are usually filled with water to spread the impact around the surface on impact. 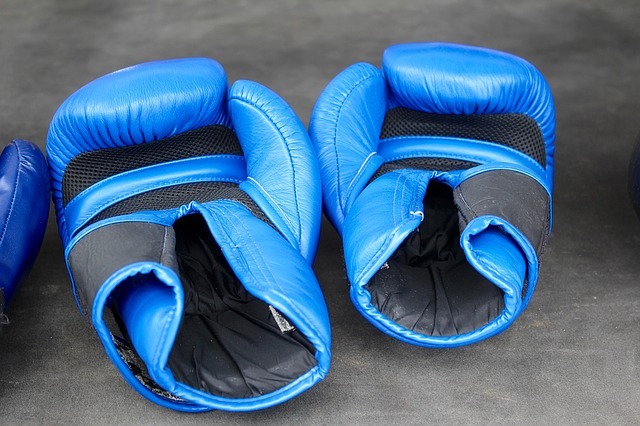 Muai Thai and MMA boxers use less-dense gloves, these bags are therefore more comfortable for them. On the other hand, punching bags use sand and metal inside the inner core to retain their shape – a fact that makes the core more reliable. Kick boxing bags are usually longer in size especially because of their need to get impact from low and high kicks alike. An average length of a kick boxing bag is around 5 feet. On the other hand, punching bags can range from 2 feet to 6 feet depending on the size, price, and user requirements.